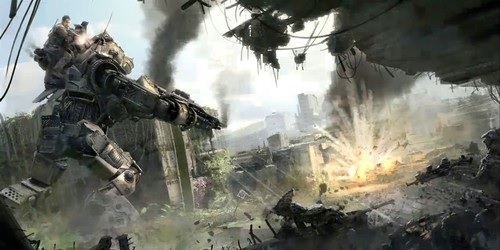 Last night at 9pm Pacific time, Respawn’s sci-fi shooter Titanfall finally dropped after what seems like the slowest couple of weeks in my recent memory. Despite a little technical hiccup (the server connection hung on the “initializing” screen for a while) I was able to play the game for a couple of rounds on launch night, so props to Respawn for that. Overall I found my time with Titanfall to be fairly enjoyable, although in the early hours of the game’s lifespan a few things stuck out to me. While Attrition is fun, a score limit of 250 is quite small, especially if one team is running away with the match. Having such a low victory ceiling doesn’t allow room for a comeback, especially if the other team has four or so Titans on the field. Additionally, it seems like the Smart Pistol might be a bit more bothersome than I originally thought, although that could just be me not being used to countering it. Since there’s such a groundswell of hype around this game, I thought it would be prudent to do a roll call for Titanfall. What platform (PC, Xbox One or 360) are you playing on? If you feel like it drop your tag into the comments! I’m finding more and more reasons to buy it. I wasn’t sure if it would run on my mid-range laptop but after hearing that it runs on the Source engine I’m having second thoughts about skipping this one. I just have to figure out what the hell my Origin account info is. I haven’t used the thing since I played Simpsons: Tapped Out. I played it on the ‘Bone nearly all day yesterday, reaching level 31. Absolutely love it, it’s a breath of fresh air in the genre. I mean, when was the last time there was a multiplayer game that was a new IP? The game is fun for a bit of frantic run and gun, but It’s probably the least team oriented team game I can remember which I wasn’t really expecting. I’m gonna wait this one out. I can’t wait for this game to be unimportant, so I can stop hearing about it. I’ve been done with multiplayer games for years. I didn’t intend to get it so soon, but damn am I glad I cracked. It’s just… like… I mean, it’s SO much fun. However, I did have my first experience with someone using a pretty blatant aim-bot tonight. It was unmistakeable in their kill-cam playback. I’ll never understand why someone would prefer playing that way to, y’know, having a fun challenge and using their own skills, but whatever. I left the match and moved on with my evening. I hope that doesn’t become a big problem. I had heard talk about hackers cropping up, but surprisingly I don’t think I’ve ever ran into them. If they are about in Titanfall, whatever anti-cheat measures they have in place must be doing a great job of keeping the majority of hackers out. I’ve also read that they have been looking into those that have showed up and are working on some aggressive measures to keep them out. Next Next post: GamerSushi Asks: Spring Releases?